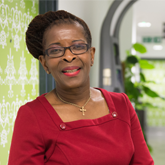 Thank you for being a part of our history, says RCN President Cecilia Anim. One hundred years ago today, the Royal College of Nursing was founded, and I would like to take the occasion of our anniversary to say thank you. Thank you for the care you give to your patients. Thank you for your dedication to our profession. I know many of you are working today - one of the many sacrifices you make to do the job you love. I will spend today at the Marie Curie Hospice in Hampstead, London. I’m looking forward to meeting members and hearing what more I can do to support you. In one hundred years, we have come a very long way. The RCN began with just 34 members, and a campaign to create a register of qualified nurses. A century later, we have 430,000 members and nursing staff, like you, are working across an incredible range of specialisms. You are constantly pushing the boundaries of traditional practice. Without you, there would be no RCN. So as we pause to celebrate, I want to say thank you for being a part of our history. With your support, we can meet the challenges of the future.